Beef tapeworm parasites have an intricate life cycle which allows them to enter our bodies in our food and grow in our intestines. There are over 300 species of human worm parasites. The most common is the beef tapeworm, which enters the human body in infected meat or fish. 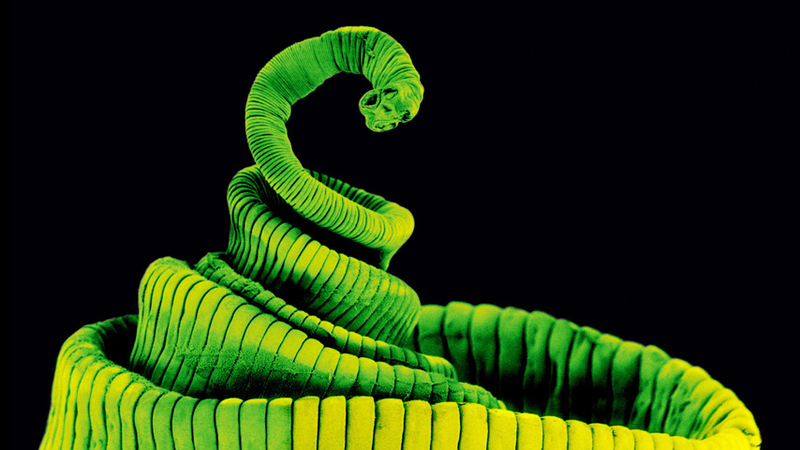 The tapeworm hatches in the small intestine, attaching itself to the intestinal wall. The beef tapeworm is relatively benign, but can grow up to 10m in length if left untreated. Our intestines are prone to being invaded by animals that can live inside us, and feed off the food in our guts. Parasitic worms can get inside our bodies when we eat meat or fish infected with their eggs.